Here at Wafuken, we pride ourselves on serving food that delivers the most exquisite pleasure to your taste buds and is healthy for your body. 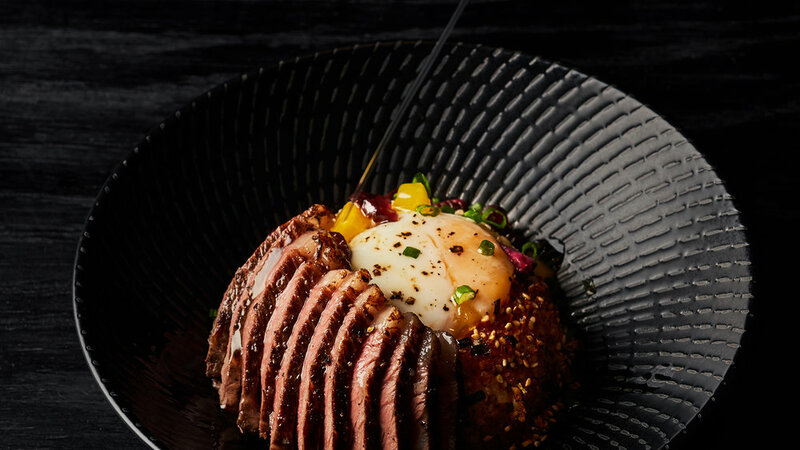 We are Singapore's and possibly the world's first sous vide themed restaurant concept and when it comes to serving healthy meals, Singapore’s residents have counted on us time and time again. We achieve this perfection through the sous vide (su-veed) process of cooking all our proteins. 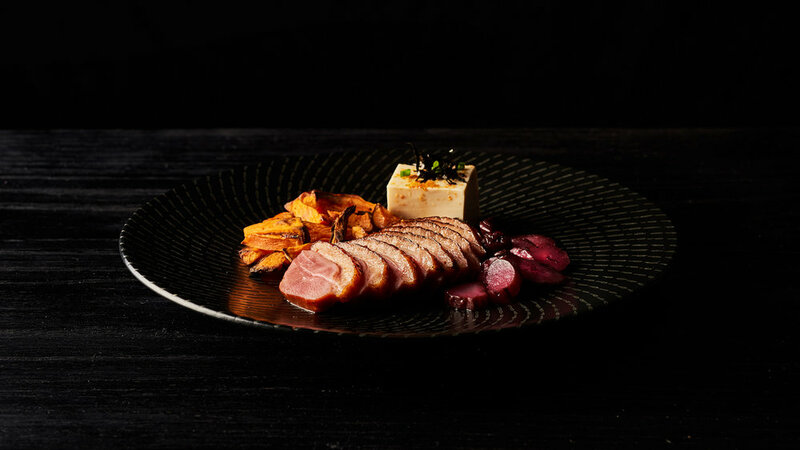 While sous vide cooked food is mostly found only in gourmet restaurants, at Wafuken, we offer it to everyone readily at an affordable pricing, fully customizable to your dietary plans and needs. At Wafuken, you can be sure to enjoy a lunch in CBD, before or after a gym experience at one of the many gyms nearby. We’re here to make sure you get the best food in CBD. 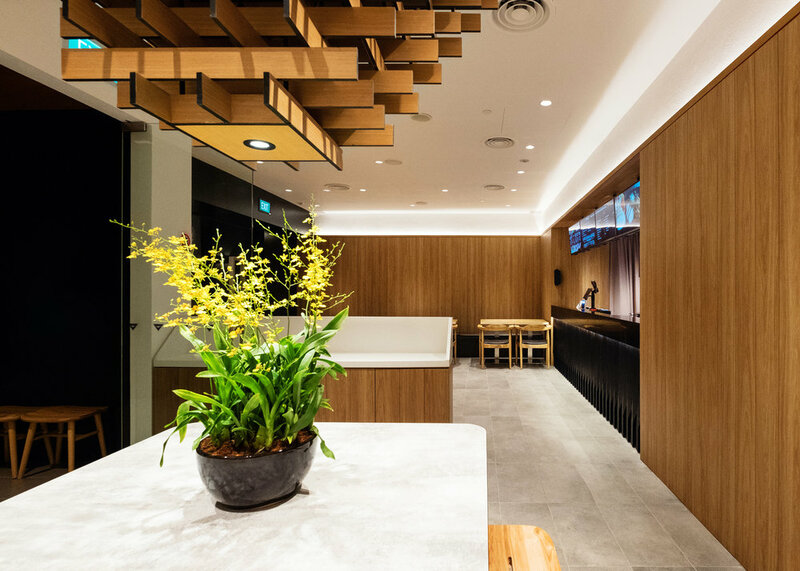 here at wafuken you have full control of customizing your dining experience at CBD, in SINGAPORE. Customize your meal by selecting any proteins and sides. Sous vide (which is French for “under vacuum”) is a method of cooking food where ingredients are placed in heat-safe, vacuum-sealed packs and then submerged into a precise temperature-controlled water bath. The sous vide method allows us to consistently produces results that are difficult to achieve in any cooking method. Steaks are perfectly cooked from edge to edge. Salmons are cooked to a translucent pink, with a delicate and flaky texture. Minimal moisture and volume is lost while cooking and flavour and nutrients in the meat are retained with sous vide cooking. The food we serve does not contain unhealthy fat, excessive sugar or tenderizer. Instead, we utilize modern cooking techniques coupled with flavourful combinations of herbs, spices and quality ingredients in order to provide you with a healthy yet undeniably delicious experience. Here at Wafuken, you have full control of customizing your dining experience. Customize your meal by selecting your protein, vegetables and carbohydrates and add ons and get your healthy food delivered to your doorsteps. 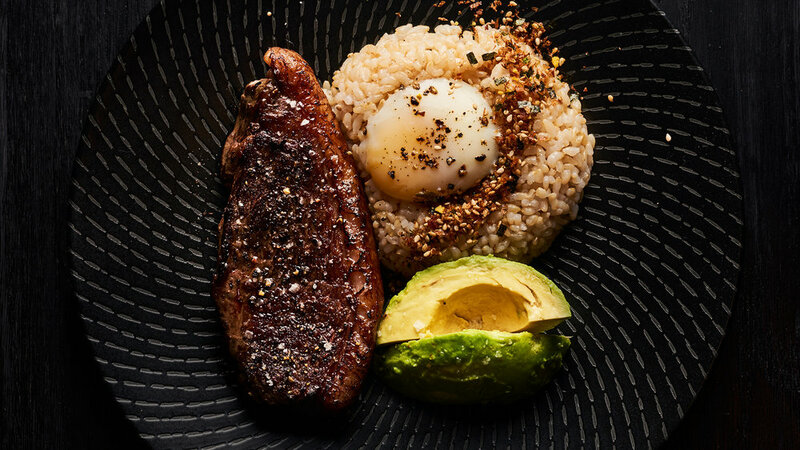 We recommend Japanese brown rice instead of Japanese white rice simply because brown rice has more flavour, fibre and is the all-round healthier choice. Our Donburi options are served with an onsen egg, pickles and Furikake Japanese brown/white rice to provide a tasty experience for all. Wafuken’s Signature. 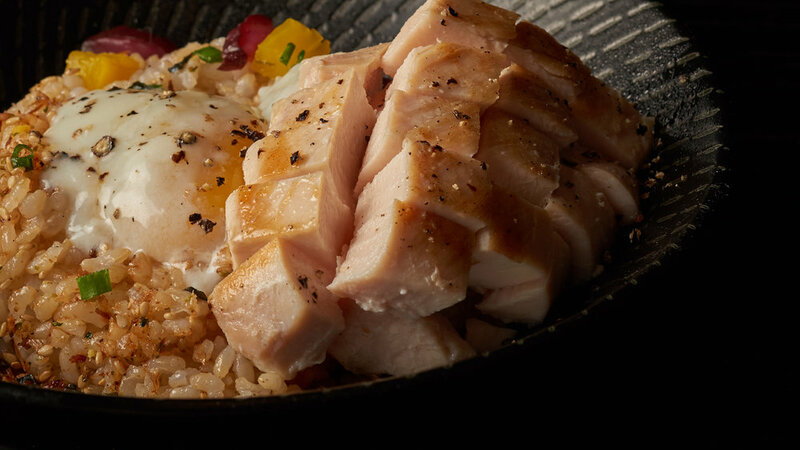 We serve cuts of chicken breast so tender and moist that you might not even believe they are chicken breasts! We use fresh, non-frozen chicken coupled with multiple preparation techniques to create our Signature Chicken Breasts. 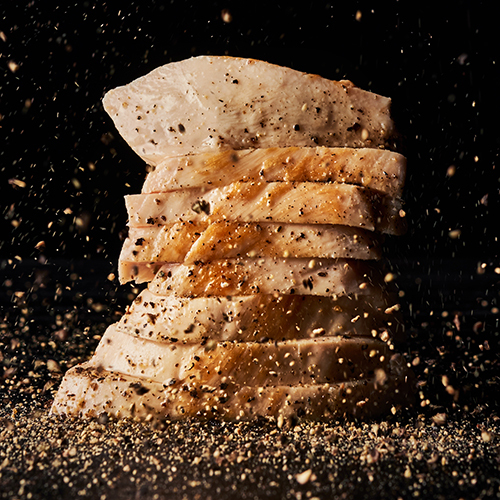 If you have never liked chicken breast, be prepared to change your mind. 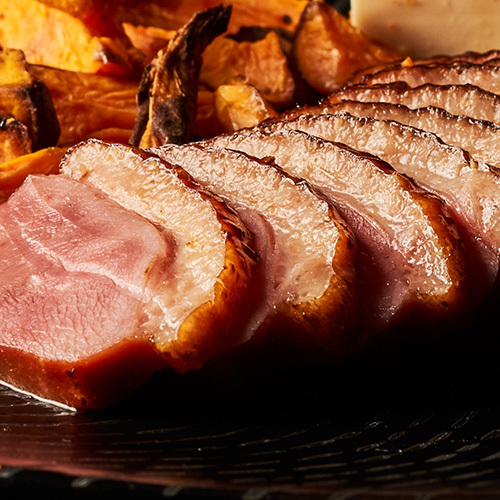 Aromatic, full flavoured and succulent, our sous vide smoked duck is also less salty than most smoked ducks. Springy, crunchy sous vide prawns seared aburi for a delightful seafood treat. Our Saba is caught in Norway and specially selected and processed in Japan. Saba is rich in omega-3 fatty acids. Best of all, they are good for your taste buds too. Salmon lovers out there will be pleased to know that the fillets of salmon we serve here fall apart gently with the effortless prod of the fork. 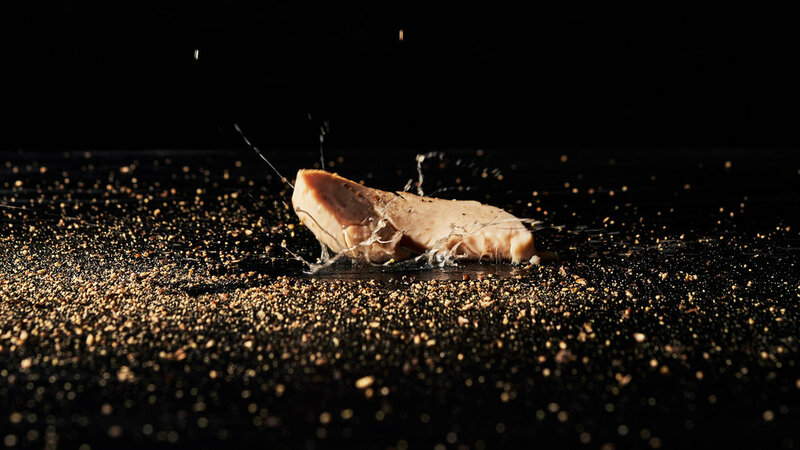 Using only the freshest cuts of Norwegian salmon and modern cooking techniques, we achieve a texture as smooth and silky as any perfectly cooked fillet of salmon should be. Lastly, we torch it for the Aburi finish and sprinkle konbu for umami. Here at Wafuken, we use a 100 day grain fed oyster blade steak from Riverine, Australia. Well-marbled, tender and juicy, all that is needed is to cook it to a perfect medium rare. Our cod is air-flown from France. Moist, sweet and melts in the mouth. To highlight its quality, we serve our cod by lightly searing aburi. Finished with a seasoning of konbu and a squeeze of lemon. Are we opened on weekends? Are we opened on Public Holidays? We are not Halal Certified, however we do not use Pork nor Lard and our suppliers are Halal Certified. We understand that it is not the same, but you can check with the cashier when ordering about which items contains alcohol. Unfortunately, we are not entirely gluten free due to the use of Japanese Soy, which contains wheat, in certain products. It is challenging for us to go fully gluten friendly without vastly increasing cost. However, we do have gluten free options. Carbohydrates: Herbed Quinoa, Herbed Potato Salad, Japanese Sweet Potatoes, Japanese Pumpkin. Sides: Avocado, Broccoli, Chawanmushi, Edamame, Onsen Egg, Sweet Corn, Tofu without Sauce, Wafu/Chuka Sesame Salad without dressing. What kind of oil do we use? Canola Oil. Canola oil is low in saturated fat and contains both omega-6 and omega-3 fatty acids in a ratio of 2:1. It is high in monounsaturated fats, which may decrease the risk of heart disease. Are there added Sodium or Sugar in our food/sauces? Most of our proteins does go through a salt treatment during preparation, excluding Prawns, Oyster Blade Steak and Wagyu. We also do season our proteins lightly by default before serving, but feel free to opt for no seasoning when ordering at the cashier if you do not want any. As for sugar, items containing small added amounts of brown sugar are ramen egg and all of our sauces. Is it safe to eat sous vide cooked Salmon/Saba? Yes, if it is from a good source and properly handled. Cooking fish sous vide does not pose any greater food safety risk than eating fish cooked traditionally. As factors like time and temperature are being controlled and monitored at which our Salmon and Saba are cooked, it promotes food safety. Even the sous vide cooking times and temperatures suggested by the FDA’s guidelines will not pasteurise the fish as well. As with all cooking methods, for fish to be fully pasteurised, it has to be overcooked, resulting it to be tough and dry. Often restaurant menus disclaim “Consuming raw or unpasteurised seafood may increase your risk of food-borne illness” as most people prefer their fish to be lightly cooked. However, with proper handling, food-borne illness should not be a concern. If unpasteurised seafood is still a concern, we suggest that you opt for it to be “well done” or choose another protein, asking for it to be "well done” as well. Do we use garlic/onion in our food? Yes we do. Items containing garlic includes all proteins, Pesto Pasta, Chilli Eggplant and Garlic Soy. Items containing onion includes Chicken, Roasted Vegetables, Mushroom Medley and Herbed Potato Salad.